Please let us know the desired modification of item after placing an order. Jacket Anorak-2 Tobacco color SIZE: 48-50/170-176. Jacket Anorak-2 Tobacco color SIZE: 48-50/182-188. Jacket Anorak-2 Tobacco color SIZE: 52-54/170-176. 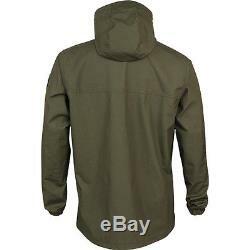 Jacket Anorak-2 Tobacco color SIZE: 52-54/182-188. Jacket Anorak-2 Tobacco color SIZE: 56-58/170-176. 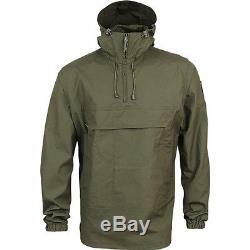 Jacket Anorak-2 Tobacco color SIZE: 56-58/182-188. 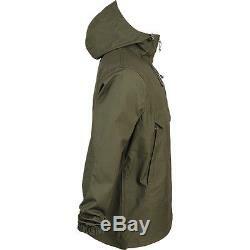 Jacket Anorak-2 Tobacco color SIZE: 60-62/182-188. Jacket Anorak-2 Black color SIZE: 48-50/182-188. Jacket Anorak-2 Black color SIZE: 52-54/182-188. 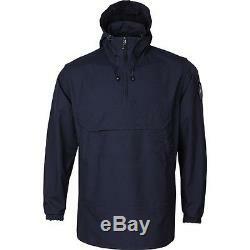 Jacket Anorak-2 Blue color SIZE: 52-54/182-188. Jacket Anorak-2 Blue color SIZE: 56-58/182-188. Boxy High stand-up collar Fixed hood with adjustable volume and oval face Front kangaroo pocket is located above the belt from a backpack Sleeve cuffs with elastic The drawcord hem Material: 100% cotton YOU MAY BE INTERESTED IN: Canvas Cape is an old love that does not fade with age, in contrast to its material embodiment. Mysterious phrase Igor Sidorov "Bistapan on the jackets avalanches treacherous trail" speaks to the heart "aching feeling roads, " the smell of snow and frosty air, memories of some unearthly friendship and caring to each other. Even in our age of rapid development of outdoor technology, the "forest" people find it hard to think of a clothing better. Light, breathable, no frosting windjackets of synthetic fabrics, replacing the tarp in the mountains, if you will retreat at the sight of a hot burning fire. "Anorak-2" made of high quality tarpaulin, which is also touched upon high technology. It's all the same "crisp linen, half-linen or cotton fabric impregnated with waterproof and antifouling compositions", but it has become so light and thin that at first glance it is difficult to understand that before you tarp. However, is it all in this canvas positive qualities. The tarp breathes well, protects against wind and light rain (heavy rain need more protection) or snow. In addition, the tarp has such properties as fire resistance, resistance to rot and abrasion, has high strength, high wear resistance. When wet the flax swells up, even increasing the strength and water-resistant tarpaulin. The disadvantages include the fact that the tarpaulin frosting in the cold, and when wet it becomes very heavy and long dries. "Anorak-2" is a classic anorak boxy fit with front kangaroo pocket, which is located above the belt from a backpack. The pocket consists of the bulk separation, which are two side entrances and a small compartment with a secure flap top entry. High stand-up collar combined with the adjustable height and oval face hoodie blocks the entrance of wind and insects. Protection from wind and cold also contribute utjazhki hem and gathered elastic sleeve cuffs. Durable lightweight windproof jacket that is not afraid of sparks from the fire and impenetrable thickets and protects against mosquitoes and gnats. Wear it in good health. In stock more than 1 item! Need multiple quantity of items? Having difficulties with the choice of clothing size? We sell other colors and types of this product, as well as many other tactical products. "I always leave appropriate feedback and expect the same courtesy in return". I have constant access to various goods from Russia, don't hesitate to ask me, I will try to help you find what you want. Don't forget to look my other items. To some countries or rural areas, it may take even longer time due to less frequent of airline and inspection across the border. If all is well please leave feedback, so we are aware that you have received your goods. Therefore, your feedback is extremely important to us. The item "Jacket Anorak-2 canvas Army Military Outdoor Police Quality from SPLAV" is in sale since Tuesday, May 9, 2017. This item is in the category "Clothing, Shoes & Accessories\Men's Clothing\Coats & Jackets". The seller is "bundestorg_russian_supplier" and is located in Smolensk. This item can be shipped worldwide. Size (Men's): Look info. Put size you need in order comments. Put color you need in comments.